The Physchem Forum Committee are pleased to announce our ninth Physical Chemistry Symposium to be held at the Scientific-Technical Services of the University of Barcelona, Spain, on Friday 17th September 2010. We shall be holding a 'Welcome Dinner', including a key-note presentation by Professor Chris Hunter (University of Sheffield, UK) at the Hotel Husa Illa, Barcelona, on Thursday 16th September (the evening before the symposium). 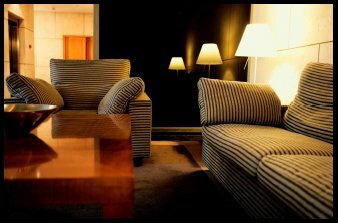 Fifty rooms have been reserved at the hotel for delegates. If you wish for a room to be allocated to you please advise us of this on registration, a booking will then be made on your behalf. Please note the cost of the pre-conference dinner is €40 (VAT and drinks included) and this will need to be paid along with the delegate room rate of (€120 including breakfast, 8% VAT not included) at check out. If you are coming for the dinner but not staying at the hotel, you will have to pay for your dinner when registering on the 16th; please indicate on your registration form that you wish to attend the dinner but do not need a hotel room. Registrations will not be accepted after 31st August 2010. We have booked 50 rooms reserved at the hotel and they will be allocated on a first come first served basis. To register for PhysChem FORUM 9 please download the registration form (PCF9RegistrationForm.doc) and forward to registration@physchem.org.uk using PCF9 registration in the subject heading. At the Hotel Husa Illa, Barcelona, Spain. At Barcelona Scientific Park (Parc Cientific). Participants can reach the Conference Auditorium walking (15 min) or by tram. Personal of the organization will be waiting at the hotel hall and will guide the participants in small groups. Click here to see a map of the route. More information can be found on their website http://www.pcb.ub.es. 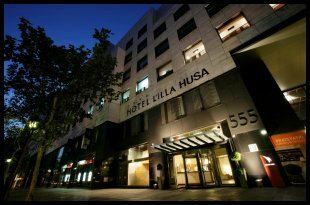 At the Hotel Husa Illa, Avenida Diagonal, 555, Barcelona, Spain. 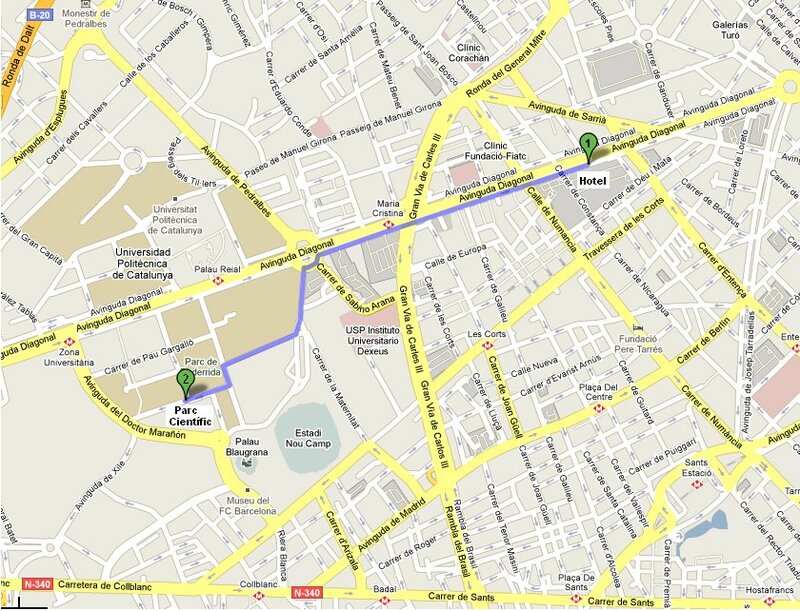 Directions to the hotel can be found at http://husailla.barcelonahotels.it/.